With Kiia, I'm progressing intentionally slowly. After her first litter she has done great progress. She works in a very intensive way and loves working with me. It's a real enjoy to be able to work with her. 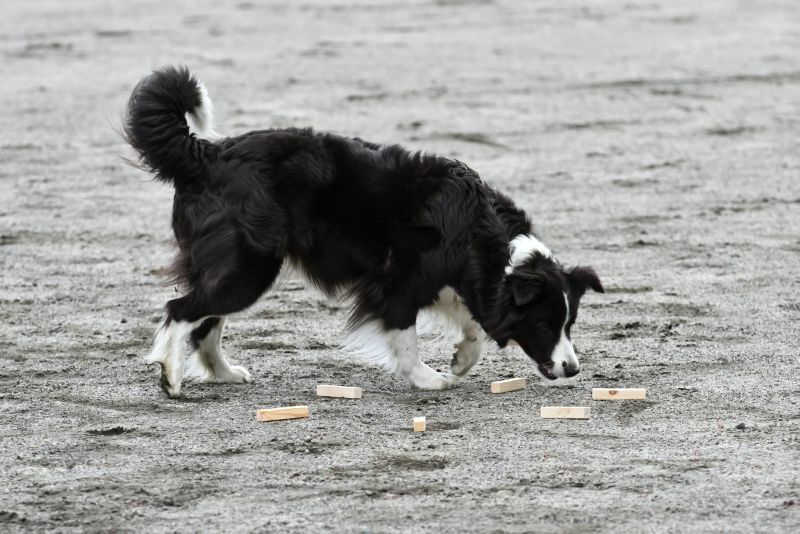 Our first obedience trial took place spring 2009. In Autumn 2010 she gained TK2 which is kind of a training award in Open Class that you can have when you get 1st three times. In May 2012 we got a first prize in our first competition in the third class of obedience. A few months later we competed for the first time in the highest class of obedience. In Spring 2015 she became Finnish Obedience Champion. After we have not competed in obedience but might start again with the new rules.